Each year from 2010-2016, Jason has been selected as one of “Kentucky’s Legal Leaders – Top Rated Lawyers” in three different practice areas – Insurance Law, Products Liability and General Practice. He has received Lexis/Nexis Martindale-Hubbell’s highest peer-rating, “AV – Preeminent” every year since 2011. 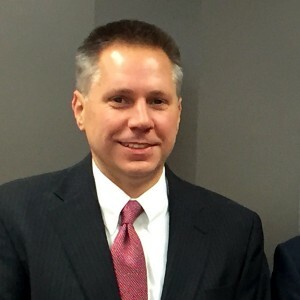 As a trial lawyer, Jason handles cases in Kentucky and Indiana in both state and federal court, including the Sixth Circuit Court of Appeals, the Seventh Circuit Court of Appeals, and the U.S. Supreme Court. Jason is active in the Elizabethtown community where he teaches Sunday School. He enjoys following the Pittsburgh Steelers and St. Louis Cardinals, running, playing golf, and spending time with his wife and three (3) daughters. Caneyville Volunteer Fire Department v. Green’s Motorcycle Salvage, Inc.